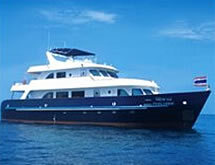 Philkade is a modern, five star motor vessel specifically designed for long-range luxury cruising. The cabins are superb, especially the Deluxe / Master cabin which has panoramic seaviews across the whole bow - a fantastic sight when you pull back the curtains on another glorious, sunny morning on the Andaman Sea. The cabin is so large it even has plenty of space to have its own sofa. The cabin also features TV and DVD player entertainment for your surface interval relaxation, a King-size bed, intercom system, personal safe for your valuables and complimentary flowers. The Deluxe cabin and Superior cabins also have their own private bathrooms, complete with toilet and hot water shower. 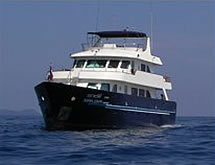 All the cabins are air-conditioned with individual cabin control; all are spacious, well-appointed and made up daily. 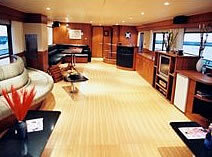 The huge indoor air-conditioned saloon is one of the boat's main features. Finished in teakwood, leather and granite, the huge lounge gives Philkade the feel of a Super Yacht. You can show off your latest photos or videos on the home theatre system. 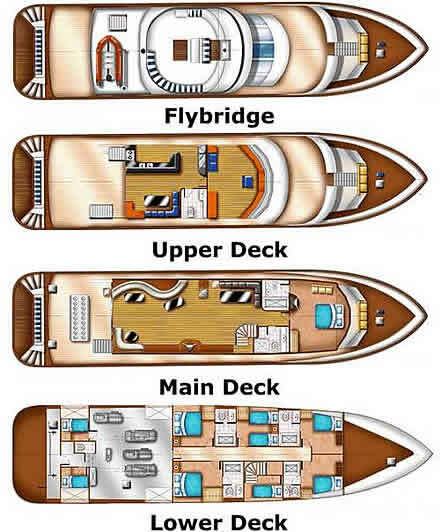 The sundeck and dive deck areas are equally expansive, and with its novel flybridge, there's oceans of space for your comfort.